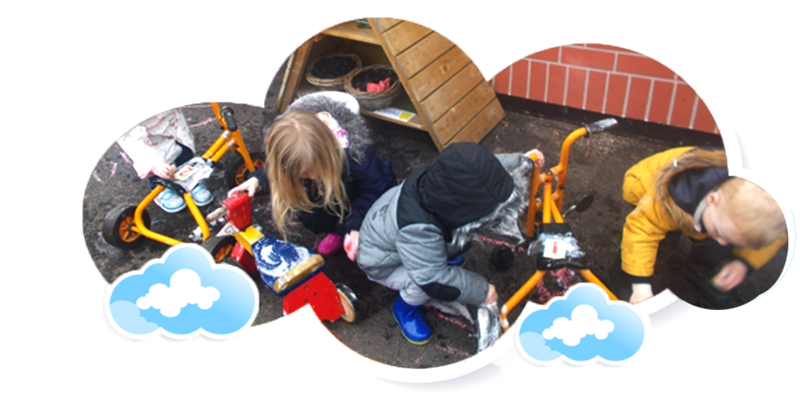 HighScope is a way of working with children based on the idea that children learn best from active learning experiences which they plan and carry out themselves. In this way children learn that they are capable, able to make decisions and solve problems about activities which are personally meaningful to them. HighScope began over 40 years ago in an area of Michigan, USA, called Ypsilanti which the HighScope Educational Research Foundation is based. Research shows that young children who used the HighScope approach in the early year’s school in Ypsilanti, developed, as they grew older, very positive attitudes to education, work, personal relationships and society. HighScope is now used in over twenty countries throughout the world including the United Kingdom where it started its development about 10 years ago. It is a registered charity which has its headquarters at the Early Excellence Children’s Centre in Newcastle and is used in Educational , Social Service, Private and Voluntary caring settings. Adults working in early years setting which purport to use HighScope should all have had special training with a HighScope Consultant or Endorsed Trainer in the HighScope approach. Sunny Bright Day Nursery is the only HighScope accredited setting in Doncaster.